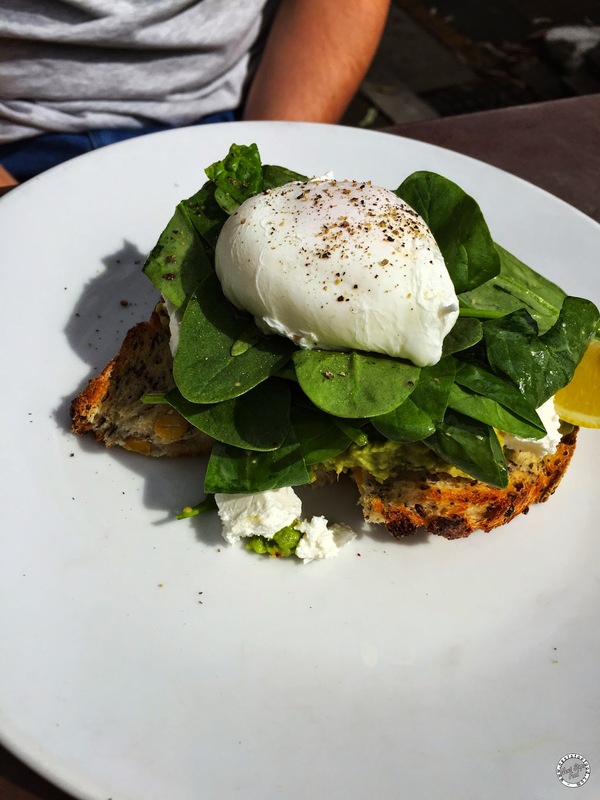 Next Stop: Food | Food Blogger located in Sydney Australia: St Jude - Poached egg heaven! 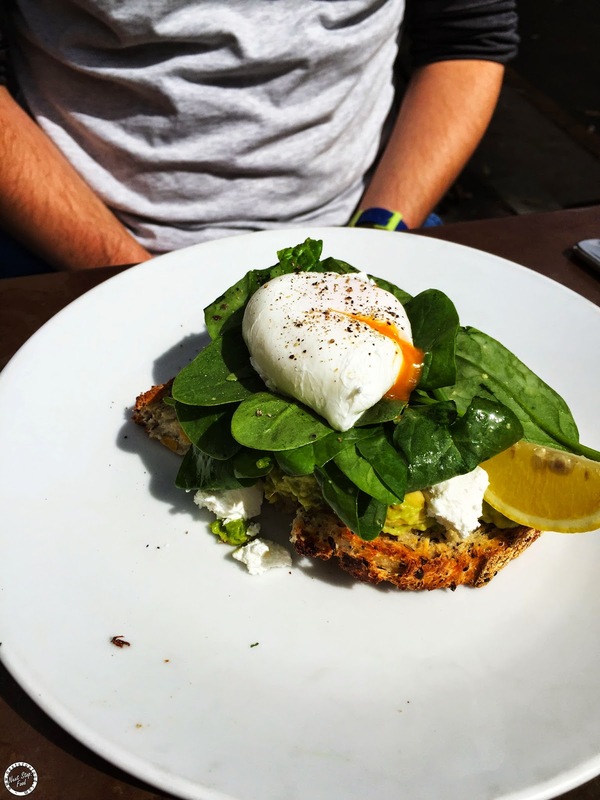 St Jude - Poached egg heaven! 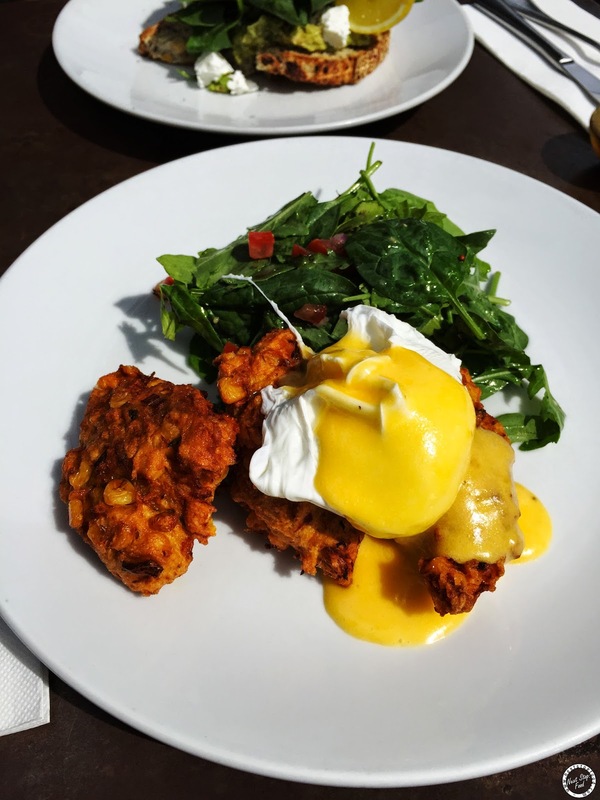 The middle eastern spices in the fritters hit me with a pleasant surprise, it went well with the hollandaise mixed with the yolk from the perfectly poached egg. This is what the boy orders everytime he's here - it's so simple and so beautiful (and healthy too!). The egg is round and pretty but also so tempting to cut it open just to see the yolk oozing out. The herbs in the avo and feta complemented each other. I love my greens so was happy to see that both are served with a salad! All the wait staff were very attentive and even though the cafe was packed, the food was served in no time. If you can wake up early, do come here 8-9am ish or be prepared to wait for a table as this cafe gets crazy busy. mmm oozy egg yolk is the best!